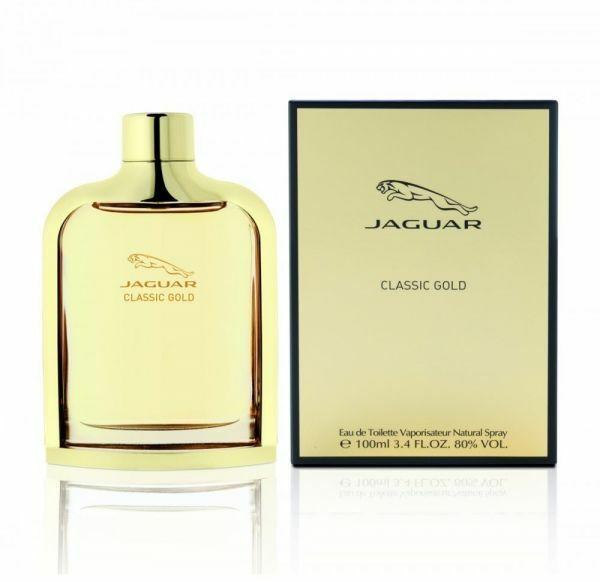 The Classic Gold for Men by Jaguar is guaranteed to increase the pulse rate of car enthusiasts with its alluring aromas of zesty fruits and floral, woody accords. This sensual Eau de Toilette was created for the British car maker by perfumer Dominique Preyssas in 2013. It comes in Jaguar’s characteristic 100ml glass flacon with golden accents. The bottle is packaged in a highly stylized golden box with the the logo of the instinctive jaguar emblazoned across the cover. The perfume has fruity top notes of apple, lime, and bergamot. Its heart has a sensational blend of orange blossom and teak wood. The base features warm, sensual patchouli, vanilla, and musk. This exclusive fragrance is ideal for everyday use as it lasts for a long time. Timely delivery, product is awesome, loved the scent and its long lasting. Jaguar Classic Gold-I love it! At this cost, really worth buying. Very good scent and lasting. I was just asked by my boss to recommend what's next for him to buy. I recommended this and he loved it! He absolutely can't believe in buying at this cost with this lasting and nice strong fragrance. The scent - Absolutely so good plus its longevity and sillage. nice & long lasting fragrance.. affordable price. Smells similar to 'Davidoff Hot Water'. Lasted on skin for around 8 hours. Worth it if one likes citrus-like fragrances. Maximum bang for buck! Good sillage & projection for the price. Long lasting. Good atomizer. Value for money.